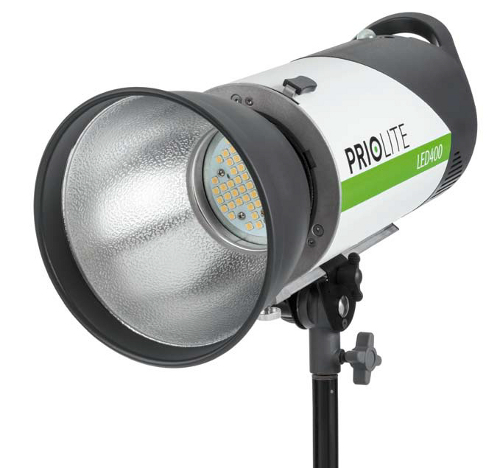 Courtenay Studios has become the United Kingdom distributor of Priolite, the German-made portable studio lighting brand. The deal brings Priolites to the British Isles for the first time, having previously been available mostly in mainland Europe. 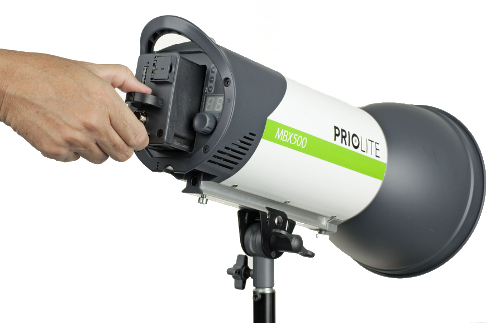 The Priolite MBX system is a line of battery-powered monolight flash heads, each with a removable lithium ion battery pack, LED modelling lamps and a 2.4GHz remote control system. There are also pack-and-head versions of the same lights, called the M-Pack series, and a monolight-shaped continuous video lamp, the LED400. Each light has an bayonet mount that accepts both Bowens S-type and Hensel lighting accessories. Courtenay will also be carrying a selection of Priolite-branded reflectors, beauty dishes, umbrellas and softboxes. The Priolite MBX500 is priced at £1079.00 RRP inc VAT. The Priolite MBX1000 is priced at £1249.00 RRP inc VAT. The Priolite M-PACK 500 is priced £1083.00 RRP inc VAT. The Priolite M-PACK 1000 is priced at £1463.00 RRP inc VAT. The Priolite HEAD1000 is priced £380.00 RRP inc VAT. The Priolite M500 is priced at £650.00 RRP inc VAT. The Priolite LED400 is priced at £824.00 RRP inc VAT. You will be able to buy Priolite gear from Wex Photographic or directly from Courtenay. No other dealers have been announced yet. The whole range of Priolite products will be exhibited at the Focus On Imaging trade show next month in Birmingham, on stand E40. For further information, technical data and prices, visit the Courtenay Studios web site.